A public lecture by Professor Jane Lydon, Wesfarmers Chair of Australian History at The University of Western Australia. Conceptions of Australian national identity have emphasized the nation’s collective youth and innocence, federated only in 1901. The Australian national anthem reminds its citizens that ‘our home is girt by sea’, a geographic boundary that naturalizes an imagined entity, rather than acknowledging its contested, provisional, and sometimes fluid status. A persisting anxiety in Australian public debate has been the porosity of national borders, and the racial and cultural homogeneity of its citizens. This lecture explored the role that photography has played in asserting white settler sovereignty over Australian territory, asking how the medium has adjudicated debates regarding post-war migration, late twentieth-century multiculturalism, and more recently twenty-first-century migration. Since 2001, the Australian government’s official policy for those seeking to enter the country without a valid visa has been mandatory detention in offshore prisons that remain largely invisible to the general public. The more recent border protection taskforce Operation Sovereign Borders led by the Australian Defence Force has made a well-funded visual ‘communication campaign’ central to its Regional Deterrence Framework. Opposing these official views are rare images of the asylum-seeker experience, such as Afghani photographer Barat Ali Batoor’s award-winning photographs. The contest over the visual and political frames of recognition governing the visibility of refugees and sites of detention continues to define the nation. 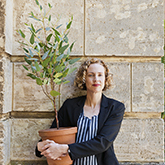 Jane Lydon is the Wesfarmers Chair of Australian History at the University of Western Australia. Her research centres upon Australia’s colonial past and its legacies in the present. Her books include Eye Contact: Photographing Indigenous Australians (Duke, 2005), and The Flash of Recognition: Photography and the emergence of Indigenous rights (NewSouth, 2012), which won the 2013 Queensland Literary Awards’ History Book Award. Most recently she edited Calling the Shots: Aboriginal Photographies (Aboriginal Studies Press, 2014) which brings together Aboriginal and non-Aboriginal scholars to explore the Indigenous meanings of the photographic archive. Photography, Humanitarianism, Empire will be published by Bloomsbury in July 2016. This lecture was part of the 2016 Limina Collective Conference - Beyond Boundaries: recognition, tolerance, change.